For many years all we offered was high quality, legal for trade industrial floor scales. However, the market has shifted some and we now do offer a few lesser scales that still meet our requirements for quality. The Optima scale on this page does just that at an affordable price. 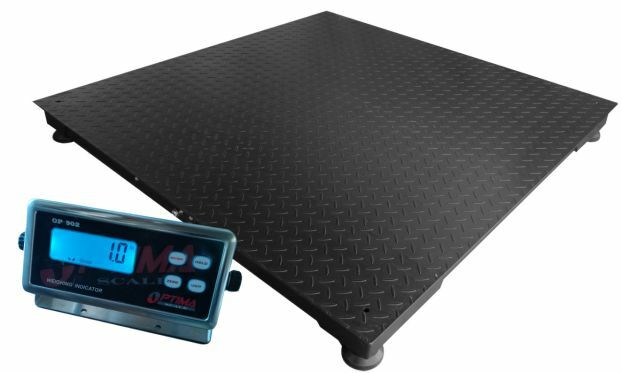 We commonly refer to these as cheap floor scales which is true in the sense that they do cost less than the legal for trade models. But the quality of this scale is pretty good for the money. 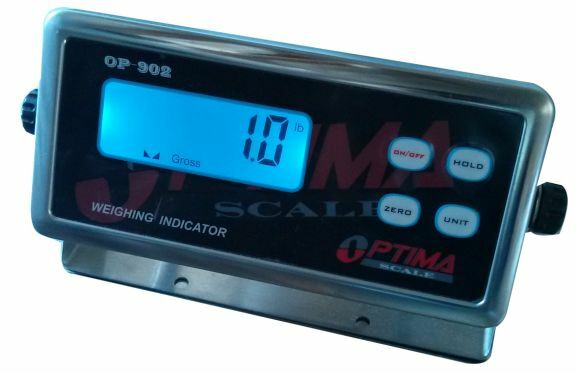 This is a basic entry level Optima Scale Manufacturing floor scale calibrated with digital weight indicator. The system has global appeal and is ideal for weighing pallets in your warehouse or any other non-commercial application. The system is non ntep which means it is not NTEP approved and not legal for trade. If you need a legal for trade scale, please see our standard 4x4 or 5x5 floor scale pages which feature those products. This item OP-916-4x4-5-NN is simply designed to provide you with accurate weight in a non commercial setting at an economical price. The Optima basic industrial floor scale features good quality but is not a legal for trade product. These 4x4 5K floor scales are designed to be affordable, but also designed to be reliable. 4x4 warehouse floor scale with 5000 pound capacity features four high quality alloy steel load cells, an affordable price and is great for weighing pallets in a warehouse. Features 19’ Heavy Duty Quick Connecting Cable from scale platform to digital readout.